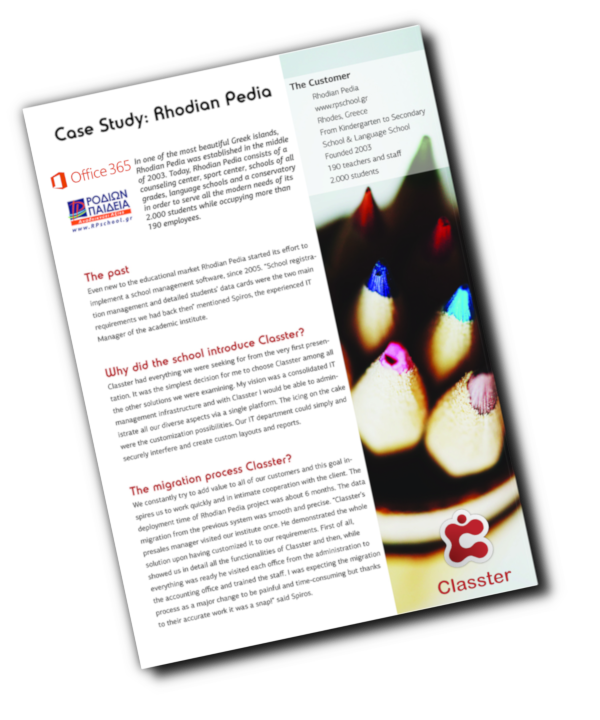 Classter is one of the first School Management Systems fully integrated with Office365. 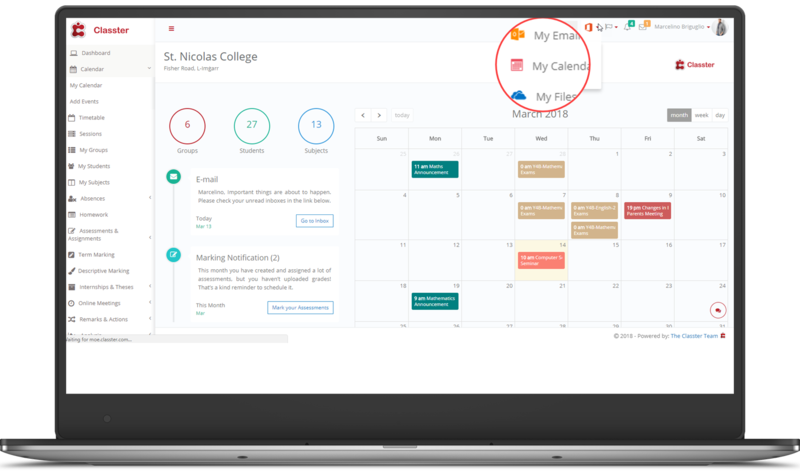 Once a student, teacher, employee or parent creates a Classter account, the system automatically creates an Office365 account. Additionally, Classter will automatically create mailboxes, assign Office365 licenses and create security groups. Any subject in Classter is associated with Office365 SharePoint libraries or MS Teams. By enabling Office365, end users will log on using the secured and reliable Microsoft Authentication service of Office365. Using this single sign-on mechanism, end users can access any Office365 application from within Classter portal.